In A Space Program, presented in its definitive Director's Cut, internationally acclaimed artist Tom Sachs takes us on an intricately handmade journey to the red planet, providing audiences with an intimate, first-person look into his studio and methods. The film is both a piece of art in its own right and a recording of Sachs' historic piece, Space Program 2.0: MARS, which opened at NYC's Park Avenue Armory in 2012. 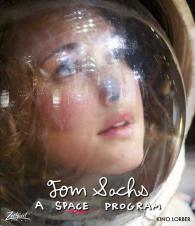 For Space Program 2.0: MARS, Tom and his team built an entire space program from scratch. They were guided by the philosophy of bricolage: creating and constructing from available yet limited resources. They ultimately sent two female astronauts to Mars in search of the answer to humankind's ultimate question...are we alone?